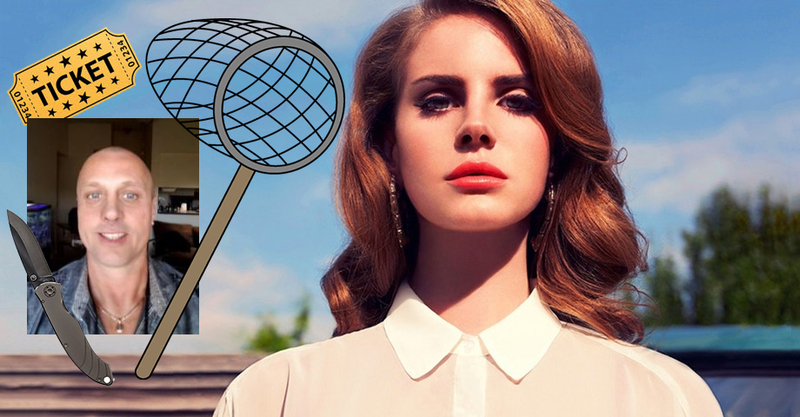 Orlando Police foiled Florida Man’s plan to kidnap Lana Del Ray from the Amway Center. 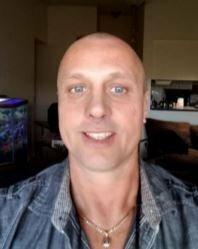 43-year-old Michael Hunt of Riverview, FL was arrested on Friday. 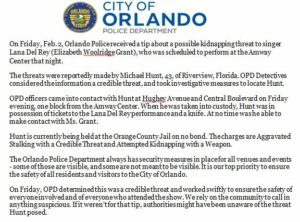 He was apprehended at Hughey Ave. and Central Blvd., about a block away from the Amway Center, where Lana Del Ray was performing that night. Earlier, he shared “cryptic and threatening” posts on social media toward the singer, according to the Orlando Sentinel, and someone called the cops. “I love you so much Lana I can’t wait to be back in your arms in a few days baby I hear you singing I miss you baby I miss you so much Lana,” reads one of his posts from Jan. 29. He’s been charged with Aggravated Stalking, and Attempted Kidnapping with a Weapon. He is not eligible for bond. Michael has already served five prison terms for some Florida Man basics like: burglary of an occupied structure, grand theft of a motor vehicle, grand theft with a firearm, forgery and possession and sale of marijuana. 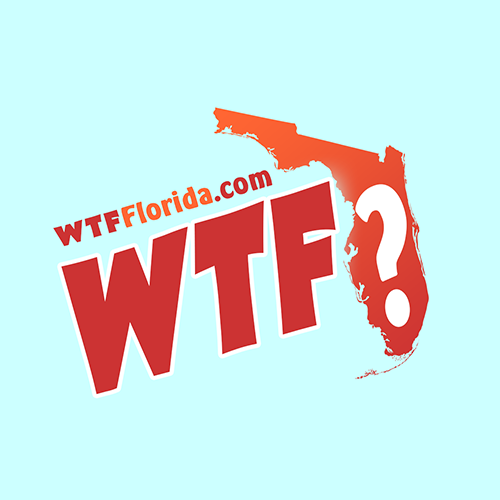 He last served 9 months for “fleeing law enforcement in Pinellas County,” but the Jan. 29, 2014 charges did not specify why exactly he was fleeing. 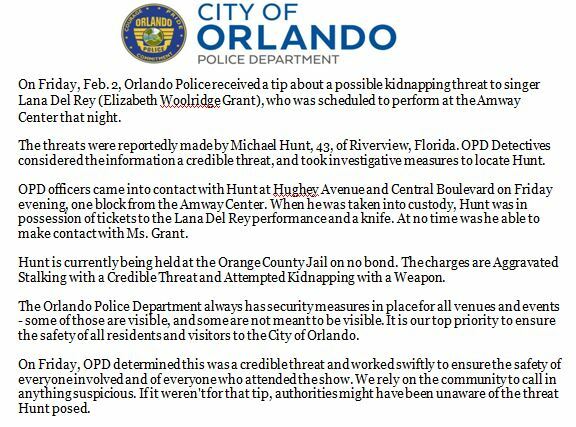 Sources: @OrlandoPolice on Twitter, and the Orlando Sentinel.